The bathroom design trends we expect to see in 2017 focus on the details. Instead of design components that have limited application, the newest trends are straight-forward design principles that can be applied in different ways according to individual taste, style and budget. The best thing about trend cycles like this is that the results remain stylish and interesting for many years. Keep reading for the 5 trends you can expect to see in bath design this year. 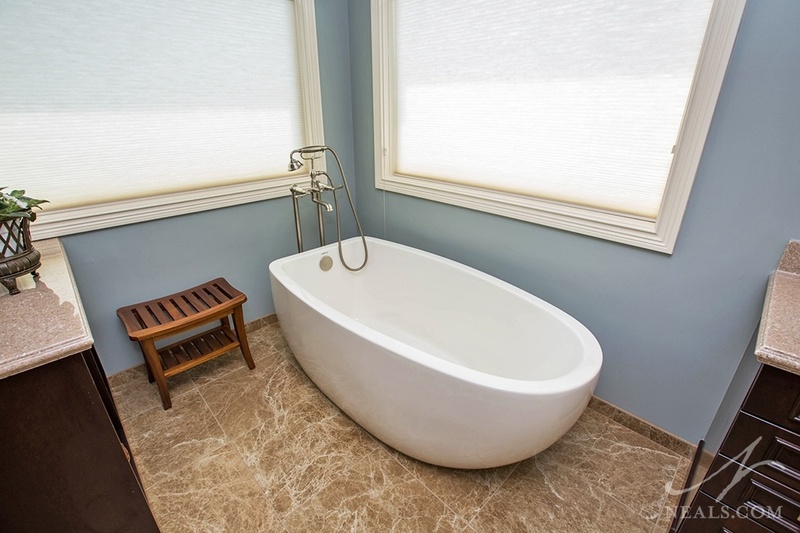 When the space in a bathroom accommodates a soaking tub, either built-in or free-standing, we're seeing an increase in the use of tubs with unique styles. Going beyond the basic clawfoot,trending tubs include minimal and modern forms as well as romantic pieces with traditional flair. They function not only as focal points within the bathroom, but also act as special works of art that marry form and function. Many homeowners are enjoying the luxury look of a wood floor, but installing one in the bathroom can be a tricky endeavor. 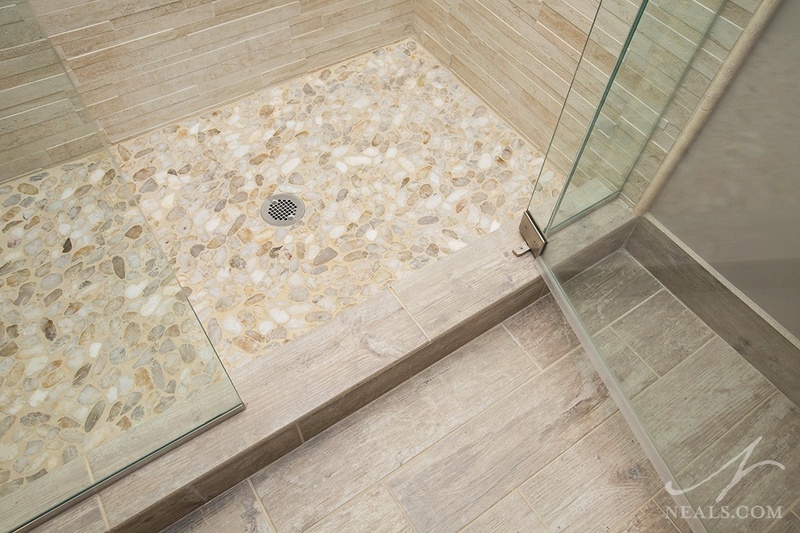 Moisture and heat can damage a wood floor, which is why tile is the material of choice in most bathrooms. The best of both worlds is to opt for a wood-look tile. Now offered in a wide range of options for looks ranging from sleek contemporary finishes to rustic reclaimed looks, there's a wood-look tile for everyone, and every bathroom. 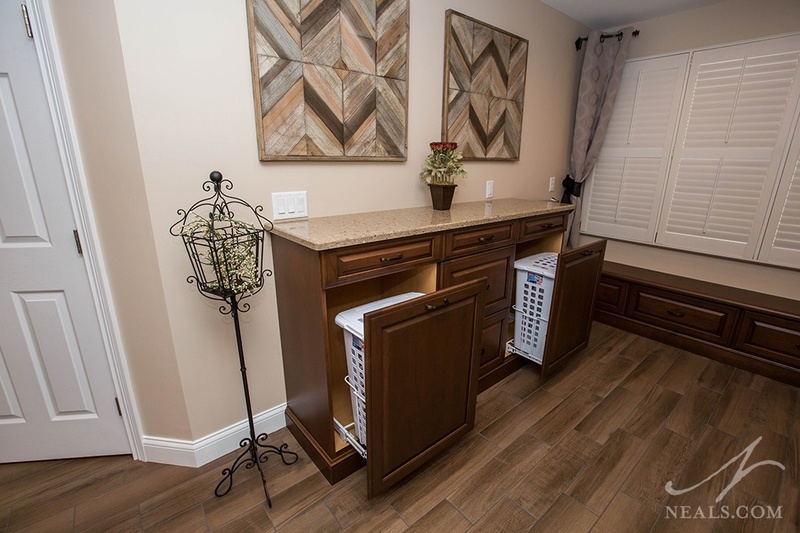 Spend a few minutes on a "bathroom inspiration" Pinterest search, and you're bound to come across examples of floating vanity cabinets. The style has taken off in the cool, pseudo-bohemian style that's a growing trend in home design as a whole, but is a versatile option for many bathroom style. While we tend to think of the floating cabinet as a strictly modern thing, it can be just as well suited to transitional spaces depending on the cabinet style that chosen. There was a time when one or two tile styles would dominate a bathroom. These days, however, we're seeing an increase in tile schemes that play off a single theme, but include several varieties of tiles rather than one or two. This creates a bathroom with visual "texture" or depth, and is an easy way to add interest to things like the shower wall or sink backsplash. The trick is to have a specific unifying factor in mind- either color or style- to make sure each tile in the room actually complements the others. Bathrooms come with a lot of considerations, but the one thing that can break an otherwise great bathroom is not having the right kind of bathroom storage. 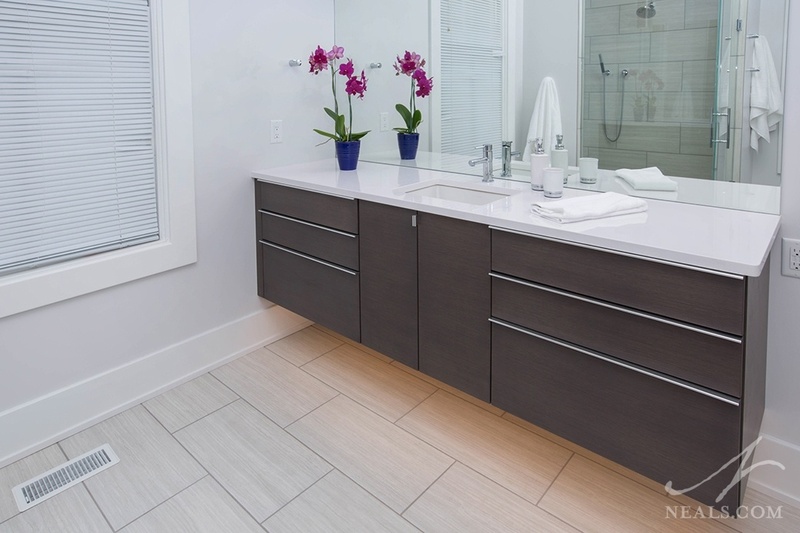 More than just making sure there are enough drawers and cabinets in the vanity, the new trend in bathroom design is to start by evaluating the homeowner's needs and daily habits, then building a storage solution in the room around those needs. 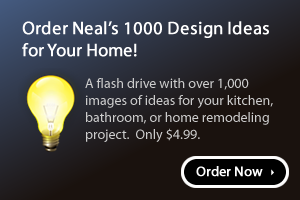 This could be as simple as including outlets inside a drawer, or as custom as providing a cabinet for hampers near the shower for used towels.